How to select best email archiving solution for your company? A very important task is selecting an e-mail archiving product. Since archiving is a long-term proposition, so it’s crucial to evaluate the available solutions. The solution you choose must be flexible enough to adapt the company needs. A powerful archiving solution can help boost productivity levels and improve company performance. One of the most important factor in choosing the archiving solution is that the service can accommodate the business needs of present as well as future. The chosen system should be able to maintain (or even enhance) performance levels when new users are added. The solution might also include the option to migrate to a hybrid or full hosted solution in future. Empower them to align their email archiving with corporate policies. Assure easy accessibility of information asked by the user. Control access privilege on individual basis. Reporting and management across different teams. Different information in an organization have different individual value. Content, such as order and contracts, need to maintained for years while some other content can be removed quickly. Effective information management requires classification of data in different categories as well as enforcing different policies for each category. An enterprise content management (ECM) might solve a lot of your problem with intelligent retention and deletion of emails. An email archiving solution will give a quick ROI from storage savings but a good archiving service will provide technical, administrative and reporting functions that will reduce the costs in the long run. Complete eDiscovery searches in minutes in case of legal requirements. The product should be able to grow and integrate with other systems as the company grows and its environment changes. It should provide open application programming interface (APIs). Support integration of third party products such as database, SAP, ECM etc. Logix Infosecurity solutions provide cloud based archiving solutions. The Symantec EV cloud is an effective solution for all the email archiving needs of your company. 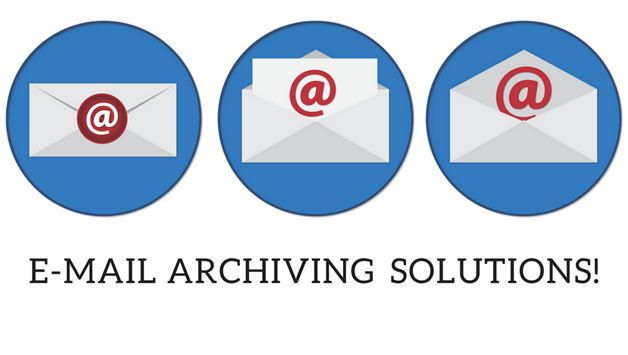 There is also an option of Logix email archiving solutions. Why do companies need Sandboxing?